Almost every professional and semi-professional camera these days offers the recording and / or live output of the image in a “log” mode. In this article we outline why this output mode can be very useful and what you can do with it. “Log” encoding in modern cameras is a kind of compression that squeezes the high dynamic range of the camera’s sensor into the limits of 10 bit video transmission paths. 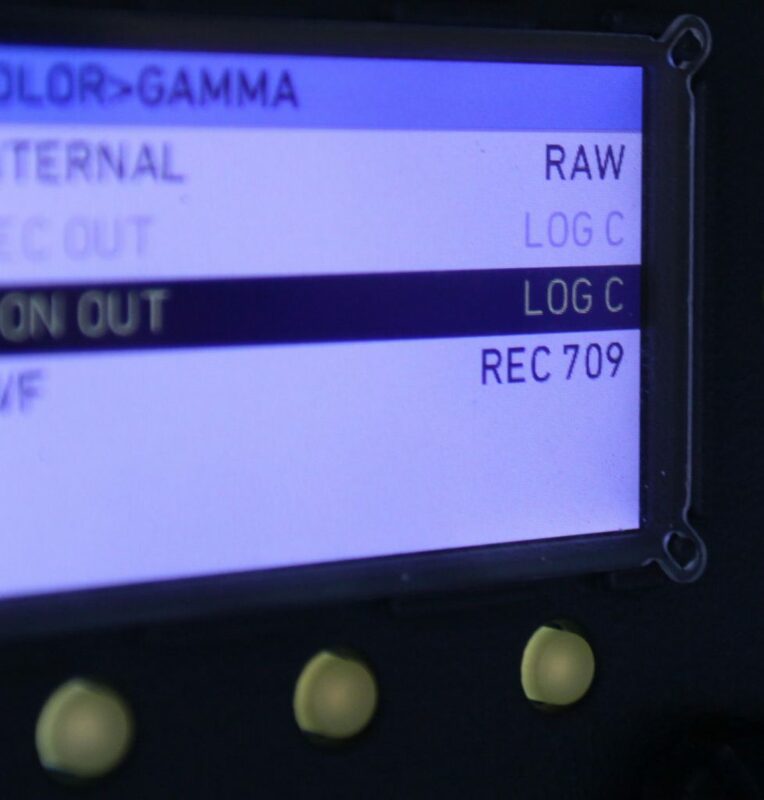 This signal behaves similar to scanned film in the color grading workflow, but needs extra processing for display on a video monitor – otherwise it looks washed-out. Working with the full dynamic range of a log signal already on set helps to judge exposure, and may even influence the lighting concept and setting up stage. Applying further processing on the log signal to simulate color correction from post-production already on set helps capturing the creative intent. Saving the applied looks and using them in dailies creation on the recorded footage leads to color corrected dailies as early as after shooting. This is the first part of a two part article. Whereas the first part will focus on giving you a basic understanding of “log” signals, we will go more “hands-on” in the second part and show how you can actually work with log signals. Let’s get started with discussing a few aspects as to what “log” signals are, why they are present in almost all of today’s cameras, and how this can be very useful on set. What is a “log” signal? When we go back ten years and take a look at the typical acquisition and display technology in video workflows at that time, no device (camera or monitor) had a much larger dynamic range than 10 stops. That’s why digital video – and especially the beloved HD-SDI standard – was mainly deployed in 10 bits color depth, covering roughly the 10 stops dynamic range of all involved devices. When from around 2010 on the dynamic range of camera sensors quickly became much larger, the technology that was available at that time was adopted for the ecosystem that’s now known as digital cinematography. At this early time camera manufacturers asked themselves the following question: How to let the production benefit from the higher dynamic range beyond 10 stops when being limited to 10 bit video transmission? A lot of the available details in the blacks and highlights from the sensor are retained in the 10 bit signal’s bottom and top end, but the mid-tones are encoded with much less detail than what’s coming from the sensor. The curve is modelled close to the sensitivity curve of negative film stock. This means that Log-C shares similarity with the logarithmic Cineon encoding used for scanned film (hence the “log” in the name). Both characteristics of the “log” encoding together had (and still have) one great benefit: Colorists that were already used to color grade digitally on scanned film in Cineon encoding could very easily adapt their grading technique for example to Log-C material from Alexa cameras. The drawback of the Log-C encoding is, that although it can be transported via regular (10 bit) video-equipment, it doesn’t look “nice” when it’s plugged to a regular video monitor. Instead it resembles a grey-ish, washed-out version of the shot motive – which is a direct consequence of the used Log-C curve. As a first solution to see a decent image on a video monitor, the cameras always come with a “video” output mode. This mode actually applies additional processing onto the Log-C signal internally in the camera, which prepares the signal for the attached video monitor. This involves getting rid of details in blacks and highlights and increasing the contrast in the mid-tones – which in a way simulates the appearance of a video camera with only 10 stops dynamic range (matching the monitor) instead of the ~14 stops dynamic range (of the sensor). From the early days on DPs and imaging technicians were wondering if there were possibilities beyond just switching the additional video processing on and off in the camera. 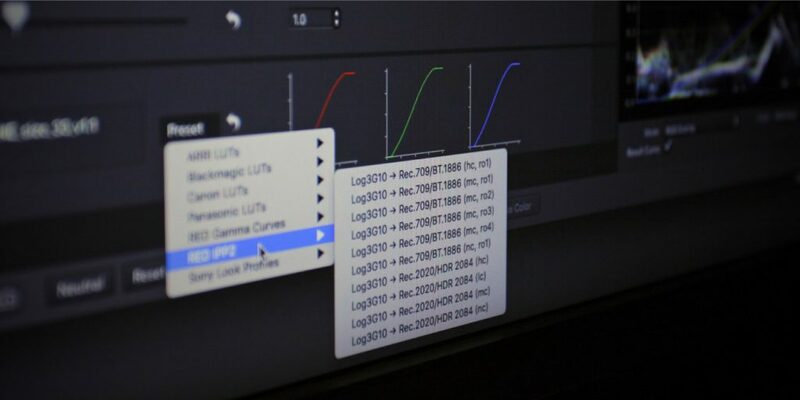 This was the birth of LiveGrade Pro, a software solution that uses 3rd party processing devices (so called “LUT boxes”) to interactively apply different processing onto the log signal of the camera and even allow for adjusting color corrections for preview in on-set monitors. *The general idea outlined in the example of Log-C also applies to most other “log” formats such as Sony’s Slog3, Canon’s CLog, or RED’s log3G10. How can I benefit from a “log” signal on set? Not using the “log” capabilities of modern cameras at all for monitoring on set and instead switching to a video-compatible output that directly shows a decent image on a monitor is the most simple way of setting up a camera. This approach has definitively its application in news/ENG scenarios, where there is not much time to set lights and optimize exposure. 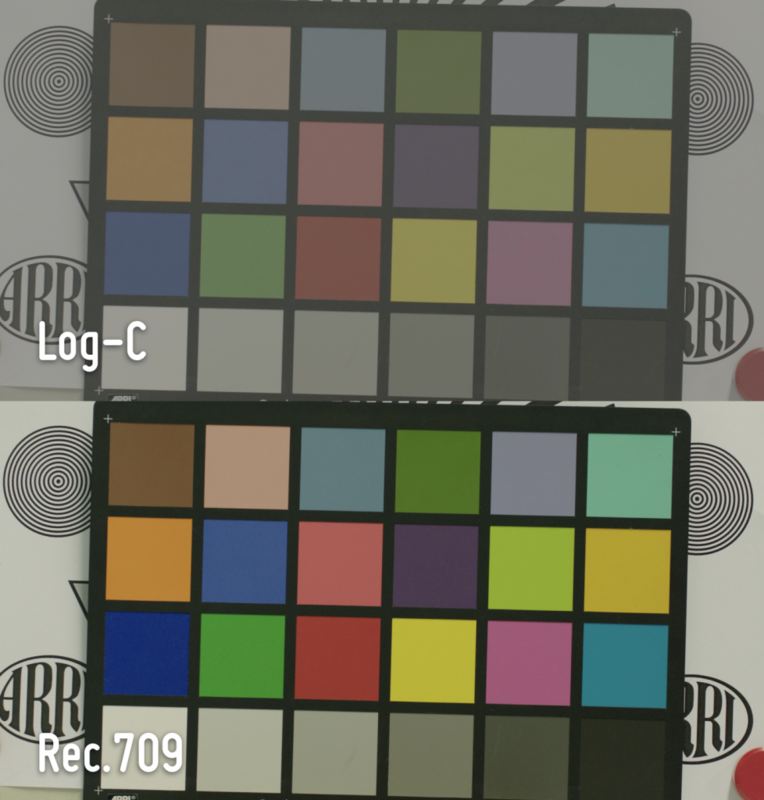 If the recording is done in “log”, light color adjustments can even be possible in post production. In feature film and commercial productions with a much higher focus on the visual and creative quality of the image, more advanced exposure and lighting will be involved on set, but also much more color correction might be applied in post production. Working with high contrast scenes and lighting for dramatic effects can bring even today’s cameras to their limits of dynamic range. This means that balancing the available stops of the sensor above and below mid gray might still be challenging e.g. in situations with bright speculars and areas in dark shades. This becomes especially important in HDR (“high dynamic range”) productions, where much more of the entire dynamic range of modern sensors will be used in the presentation, than in SDR (“standard dynamic range”). Using the log output of a camera helps to judge if certain elements in the image frame still are captured in the camera, or if they disappear in black or white clipping. Sending a log signal to video scopes and reviewing the available texture in blacks and whites can help a lot adjusting exposure properly. Sending the video output to the scopes would in contrast only show black and white areas with no indication if there is any texture available in the actually recorded (log or RAW) footage or not. Please also note that the recommended code-levels of “mid gray” that often act as an indicator for proper exposure when inspected with video scopes usually differ between the video signal and the log signal. Usually the digital look applied in final color grading is created and refined based on the log encoding of the camera footage. So for productions where color correction is an important part of the overall production value, applying a look not only in final grading on the recorded footage, but also on the log live signal can improve the quality of the outcome. As the look may include strong color effects such as steep contrast curves or very dark or bright overall color appearance, it makes sense to monitor the scene on set already “through” that specific look. This means that somewhere in the signal chain from camera to monitor the look has to be applied onto the log signal. Applying the look might not only affect the exposure decisions with cameras and lens, but can even reveal problems with the set or visibility of cables and gear that may not be judge-able in the log signal – or wouldn’t be seen at all in the video signal. So simulating the digital look from post production already on the live signal on set helps a lot for lighting and camera setup. When applying and maybe even adjusting a look already on the camera’s log signal is part of the routine in the camera department, storing the adjustments as metadata together with for example scene information allows for another significant benefit. When creating dailies, the look metadata from set can easily be applied to the log footage recorded in the camera and the resulting dailies – if done correctly – will exactly match the appearance of the live image on the on-set monitors. That way you can achieve color corrected dailies with the exact intent from the DP as early as after shooting. In the second part of this article we investigate how this topic is typically handled in practice. 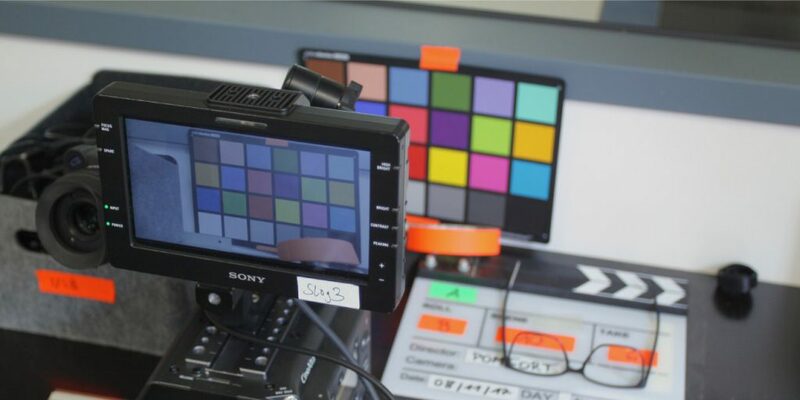 Check out how LiveGrade is the way to have colors on set and beyond!